Today marks the 100th year anniversary of the maritime tragedy of the Titanic. She carried 2,224 passengers. 710 survivors made it onto lifeboats; 1,514 passengers perished in icy waters. Just days after the survivors arrived in New York, the US Senate launched an inquiry into the disaster and investigations were underway to pinpoint the cause and prevent a recurrence. All investigations reached the same conclusions: 1) the safety regulations regarding the number of lifeboats ships were required to carry were inadequate and 2) the captain had failed to heed warnings of impending danger and the collision was the direct result of entering dangerous waters at full speed. As a result of these inquiries, an International Ice Patrol was established that monitors the presence of icebergs in the North Atlantic and International Maritime Safety Regulations were put into place to ensure that more lifeboats were available and wireless equipment on passenger ships was monitored 24 hours a day. These safety measures are still in place today. I wasn’t very far into our journey with Autism when I first heard the vaccine program referred to as “the unsinkable ship.” While this analogy is not new, it has always resonated with me. We are currently in a state of crisis.1 in 88 children (a very conservative estimate provided by our “friends” at the CDC) has a diagnosis of Autism. Our children are going down with the ship. I have to ask myself, “Where is the Inquiry? Where is the Investigation?” In April of 2000, hundreds of parents went to Washington. There were press conferences, congressional hearings, rallies. Twelve years later and NOTHING HAS CHANGED. The number just keeps going up; the excuses more and more ridiculous. 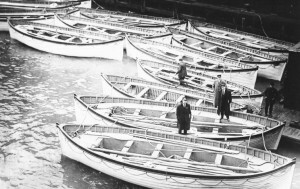 Within DAYS of the Titanic tragedy, our government was putting policies in place to ensure the safety of boat passengers. It’s been more than a decade. There are no policies in place regarding vaccine safety. I, for one, am beginning to get impatient. What has always impacted me the most about the Titanic is that the entire tragedy could have been averted if it had not been for the arrogance of the White Star Line, who declared the ship “virtually unsinkable” and of Captain Edward Smith, who ignored all warnings of danger. 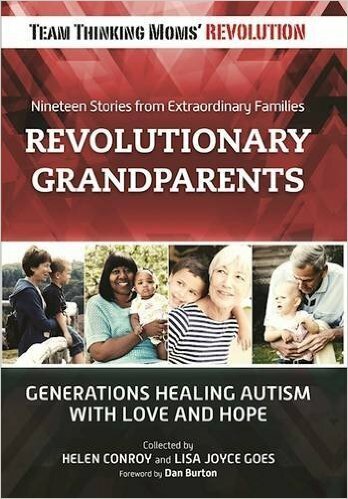 Despite a VAERS database full of adverse reactions (Vaccine Adverse Event Reporting Systemavailable to the public where parents and doctors can report adverse events following immunization), despite a 78% increase in Autism over the last 10 years, despite 51% of our children having a chronic illness (much of which can be directly linked to damaged immune systems) the CDC still refuses to acknowledge that there is even a possibility that their recommended vaccine schedule may have something to do with this crisis. Instead of focusing time and energy on safety studies, they are spending time and resources promoting every other possibility they can think of to explain the increase EXCEPT the ONE thing that parents and doctors of vaccine injured children are begging they explore. Captain Smith blew it. His ego cost the lives of over 1,500 people. However, he at least had the courage to take responsibility and go down with his ship. He didn’t jump on a lifeboat, blame the disaster on the fact that people couldn’t swim or keep themselves warm in frigid water. It wasn’t an increase in icebergs. I have to wonder if one of the reasons this entire Autism epidemic is being ignored is because none of the people driving this boat are willing to go down with the ship. I am standing on a pier surrounded by thousands of onlookers, oblivious of impending doom. I see my friends and family and their beautiful children board the ship and wave from the deck. I frantically push my way through the crowd screaming warnings, “Get off the ship. It’s not safe. PLEASE get off the boat.” The crowd is loud; they can’t hear me. I know there aren’t enough lifeboats. I know the ship is going down. I know there will be casualties. My loved ones blow kisses as the confetti drops and the band plays on. With a crack of a bottle, the ship sets sail. This is how it feels to me when I try to tell the people I love about vaccine damage. No matter what has happened to my child, no matter what my personal experience has taught me, I am only one tiny voice in a very loud crowd – a crowd that has only heard of the grandeur of this magnificent voyage. They believe they have boarded an unsinkable ship. I may be only one voice, but I am not alone. Together, we are many and we are LOUD. Together, we can make our voices heard and keep that ship from sailing. If enough of us are screaming from shore, people WILL get off that god-forsaken boat and wait to set sail when the research has been done that proves the boat is safe. I am not suggesting an end to the vaccine program any more than I am suggesting an end to boats. What I am suggesting is for the Captains to come clean and admit that there is no such thing as an “unsinkable ship” and to do the necessary research that shows who is most likely to drown. I refuse to believe at this point that the people who are driving the boat are unaware of the dangers. They just want to sell the tickets for the voyage. The only way to keep this ship from sinking is to never let it set sail. Stop buying the tickets. This post is dedicated to all the lives lost in the Titanic tragedy, and for those who survived and became their voices. Please keep them in your hearts on this solemn day. To read more posts by Mountain Mama, Click Here. Wow!! What am incredible heartfelt post. You really hit the nail on the head with this one, exactly the scenario. I really think more and more parents are starting to ask more and more but it does seem that everyone still boarding. Keep up the voice! There is nothing like a momma grizzly protecting her young, let’s show the world the TRUTH !!!! Beautifully written! And so powerful. I love the analogy! Great analogy! Love this sight! Although I don’t have a child with autism, I chose to not vaccinate my children, I have a cousin and nephew with it so I researched a lot before my time came to vaccinate! It’s seems to me that big pharm and our government are so deep in bed with one another that they want our children sick with not only autism but diabetes, asthma, and other autoimmune disorders that way they will be on drugs for their whole lifes while the drug companies are laughing all the way to the bank!! It makes me so mad I could just scream!! It’s nice to hear your stories and I do try my hardest to spread the word, before other innocent children sink on the titanic! But I think most people just think i’m the crazy one who doesn’t vaccinate her children! Oh well, we have to follow our instincts!! “The Cruise” is meant to create customers. It is only about market expansion, nothing more, nothing less. Wow, collateral damage that creates revenue. Why would the CEOs want anything different. The church governs your soul and the afterlife, the medical mafia governs your body. The archetype of the white coat has been masterfully embedded in the subconscious as a golfing partner with God. How could the wearer be anything but pure. Couple that with an infallible ego and voila, your “Cruise Director”. Aware mothers recognize the Elephant in the corner, you know, the rabid one. Very great analogy. I do not have children so I cant know all that you have gone through but I can imagine. And I do feel very strongly that vaccines do cause a LOT of injury, some of which we are not even aware of. But I do feel like you too. Nobody listens – they are so brainwashed by media, their own doctors, etc. Big Pharma and govt created this and are reaping the benefits of it, while they continue to insist the ship is safe and keep inviting more on it. And I am continually seeing more leanings to requiring vaccines for everyone, especially flu vaccines. I guess they think to hell with civil liberties and individual freedoms, while they pocket that $$ they get from pushing these dangerous chemicals. This is a great analogy! Sadly, most people don’t realize the ship is sinking until after they’re on it. Fantastic! The people driving our ship are more like the Italian cruise captain Schettino. Keep up the good work. We don’t get to choose who listens and responds to our child’s story. I have had many people tell me they have done things differently for their babies and children because of what happened to us, They listened and acted. But, members or my own family don’t listen, and I now have a great nephew who at 8 months old can’t bring himself to a sitting position, can’t really roll over and needs a nebulizer. I was brutally honest with my nephew and his wife, that they did not want what happened to our boy to happen to their baby,and still they did not listen. What an insightful and beautifully written piece. I’ve told my friends about the dangers of vaccines and I think they politely listen and maybe believe me a little but definitely not enough.. What else can I do except support this wonderful revolution, the canary party and all other organizations that know the REAL truth. I feel like they robbed us of our survival instinct. And we let them. Great piece — you hit so many important points in such a clear, well-reasoned & entertaining way. (“it wasn’t an increase in icebergs” Indeed!!) Thank you!!!! Thank you everyone for all of your kind words of support. We ARE making a difference. Try and imagine a scenario in which the Titanic sank and everyone forgot or didn’t care. I think that’s where we really are. We all lost people on the Titanic, but the White Star Line keeps sending out more “unsinkable ships” and telling everyone its safe. And sadly, most people believe them. I agree that this piece was well written. I was reading about the H Poling case again yesterday. 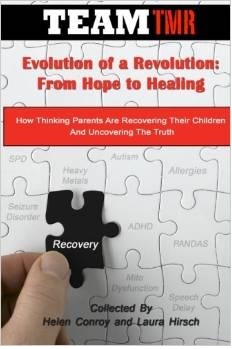 The facts of this case illustrate a number of things: 1) Since we have not yet identified (or really even attempted to identify) the types and subtypes of autism, it is impossible to determine what variables contributed to our kids being sick; 2) Since 1986, the drug manufacturers are pretty much free to push through any vaccine schedule that they wish ($$$$) with impunity; 3) NO safety testing was ever done prior to the current vaccine schedule being put in place. Our kids are the “safety” testing. My 22 year old niece (with Crohn’s!) is expecting a baby. I do feel like I am the crazy person screaming from the shore. I really hope that she heads my frantic warnings. Please, please, please send her here! We will do what we can to convince her. If she has Crohn’s disease, everything I’ve seen says her child is likely to be in the vulnerable population. We REALLY have to reach that population. Wonderful analogy! I’m standing right beside you! My journey began in January 2008 and my voice is even louder now! So proud to call you my friend. So poignant. SO AMAZING! Let’s save the World! Well done. We are all very proud of you and the wonderful things you and your friends are trying to do for all of our society. Everyone should realize that they are fortunate to be in the generation they now find themselves. 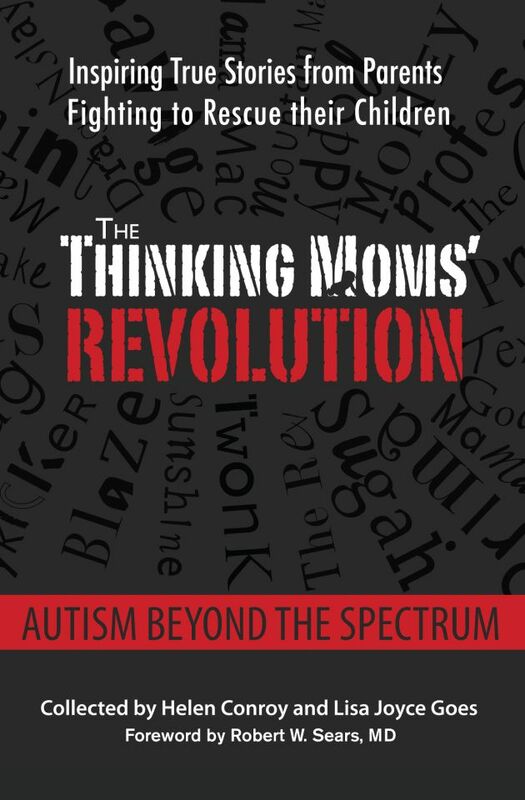 The statistics show that, within a generation or two, every family having two children will, statistically, be likely to have one case of autism, unless “We, the People” rise up and re-take control. The numbers don’t lie. Can the same be said of politicians, bureaucrats, pharmaceutical executives, etc. ? Thank you for this wonderfully written article. Can you hear the standing ovation I am giving you…I sure hope you can! Great blog. The CDC and others will be responsible for the consequences when more and more parents jump off the vaccine boat and avoid vaccinations altogether. I totally agree. They could have really addressed the issues long ago and made the vaccine more robus than ever, but instead they chose to try and sweep us under the rug. Only truth will out, and they have only themselves to blame. Absolutely fantastic!! Perfect analogy. Every word in this post resonates with me. I love that other thinking moms and dads seek me out to ask questions about vaccines – trusting their gut and looking for answers. But I hate the fact that sharing Aidan’s story has isolated me from some friends and family members – I’m a smart girl, I graduated from college, and I have very nearly RECOVERED my damaged son. But I’m still the family whack job when it comes to vaccines, doctors, pharma, and the medical establishment in general. I don’t trust them, ANY of them, anymore. We use alternative medicine (chiropractic care, acupuncture, homeopathy) as a FIRST line of defense in our house. Most of the people that think I’m nuts swallow an handful of pills a day and line up every October for their flu shot. Who’s the whack job here? Allie, when I see the disconnect I can only think of the book 1984 and the “doublespeak” that was prevalent in that society. Words actually stand for their opposite and people don’t see it. That’s what’s happening every day in the medical world. Instead of “health care” people are getting “sick care” and believing in it with every fiber of their being, until the system fails them utterly. Take heart that there are many who KNOW you are not a whack job. This is so beautifully written. My daughter Neely, who is the 11 year old nt sib to a 7 year old ASD little brother is absolutely haunted by the Titanic story and I’ve heard the same about other Autism sibs. Anyone else see that in their families? Brilliant. What an amazing comparison. Well done!